Get on the bus! 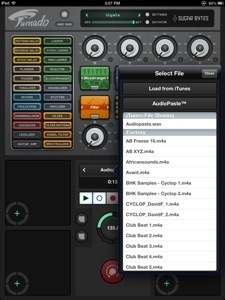 Audio Mastering now supports Audiobus effect & output slots. Very good news don’t you think? 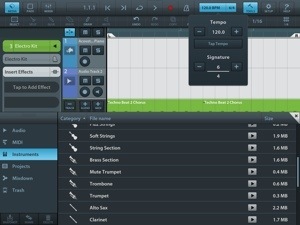 They also added a solo mode for EQ bands, record on signal start, fixed some minor bugs and so on. 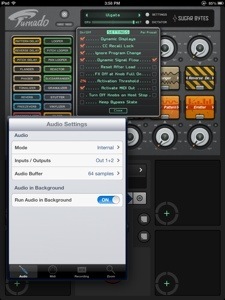 The Audiobus effect & output support is probably what most folks will get excited for. 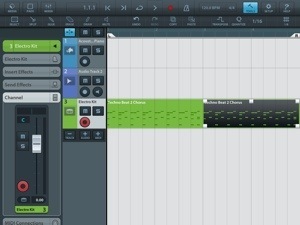 Now after you do your mixing and have a song all arranged you can record it directly to this to then master. 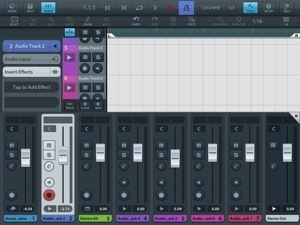 If you’re using Cubasis, NanoStudio, BeatMaker2, FL Studio, etc, then you need this app to make your mix really shine. 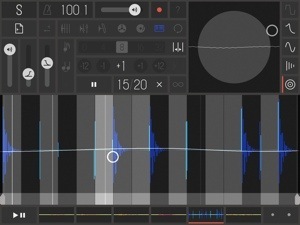 If you make music using your iPad, prefer to use one of the iDAWs other than Auria, then you probably would like to have a solid app to master your work? 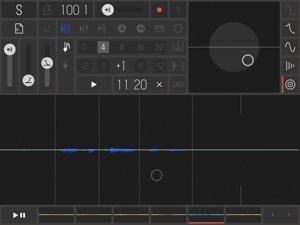 There’s plenty of snobby purists around who will insist that mastering on an iPad is just not possible. They are right! It is not possible for them to do it. With their eyes firmly shut and noses stuck so high in the sky, theres no way they could even see the screen. Sarcasm aside, the truth is; oh yes we can! 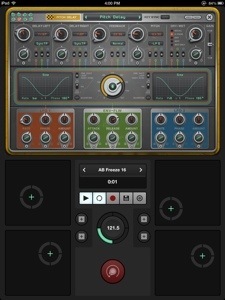 Admittedly mastering had in the past been a bit of a weakness in iOS music. Most of the iDAWs still have pretty lack luster or cheap tools with too many limitations to be taken seriously in the mastering department. 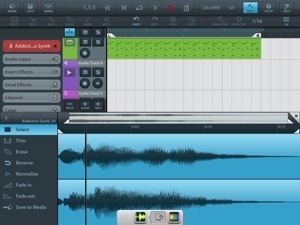 Really only Auria has appropriate mastering tools, and the best plug ins to craft amazing sound. Those however can be very costly, and many people prefer other fine iDAWs for their work. Unfortunately those other iDAWs don’t have much to offer on this topic. 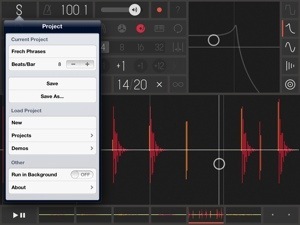 Now developers are taking this stuff seriously and some nice third party apps devoted to high quality mastering are becoming increasingly available, with more too come. 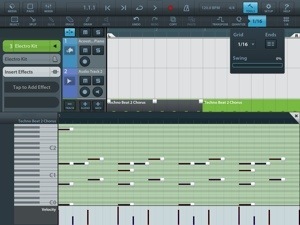 If you have good monitors, or studio headphones, all you need is the software to polish up your music. 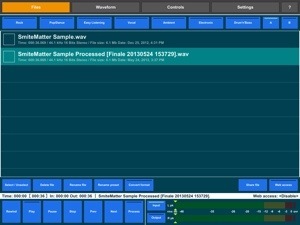 Audio Mastering is a very solid software choice. Based on the same algorithms found in professional, high quality plug ins for computer DAWs, this all in one audio workshop is ready to go. 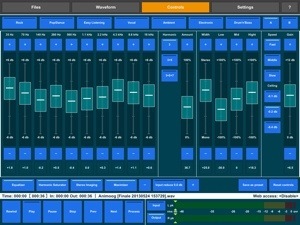 24 bit audio processing, linear phase 10 band equalizer, 3 band stereo imaging, 3 harmonic saturator types, variable speed loudness (limiter) maximizer. Dithering with noise shaping. 3 fade shapes in and out. Plus many more. 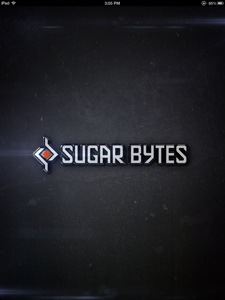 Visit Creator Igor Vasiliev blog HERE for more details and app support. Currently Audio Mastering supports Audio Copy/Paste, and “Open In” making it easy to exchange files with numerous apps including AudioShare. There is no DropBox support yet, which I’d really like to see added. 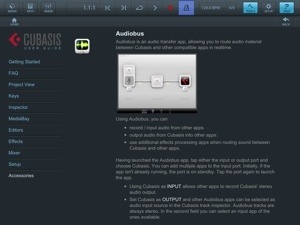 No Audiobus support yet, but it is planned for upcoming versions. 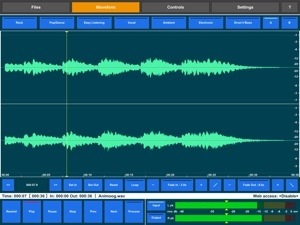 No waveform editing, and shouldn’t be expected considering this is not that kind of app. Although it wouldn’t hurt to have a basic trim, slice, and crop functions. Worrying about those things would be missing the point of AudioMastering anyway. I’ve been happy with the results after using Audio Mastering. No complaints about the audio quality at all. It sounds fantastic! Excellent separation. I really like how all the controls are on one page making it a breeze to use. Checking work on the fly is hassle free for comparing the mastered version against the original. Making all the fine tuning, & frequency adjustments in real time with instant results, all functions flawlessly. 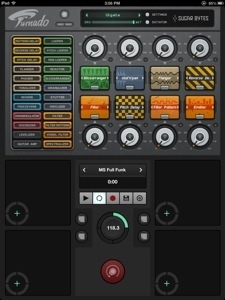 Use the sliders or for finer control, all parameters have +\- buttons to incrementally tweak the sound. If something goes terribly wrong or you just want to go a different direction tap “reset”. Do over! When you’re all done and have the sound you are looking for just hit “process” and choose the file types to create new copies of your work. After a brief wait, or longer for large files you’re done. It is just painless. 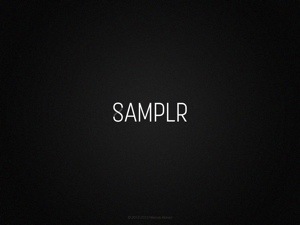 Audio Mastering has several presets based on music genres to get you started and build off of. 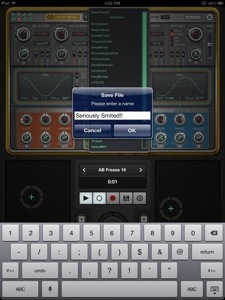 You can of course make your own presets to call up quickly to use again. Name and rename them as you like. Its all about the the sound, and you don’t always need fancy controls or huge amounts of features. 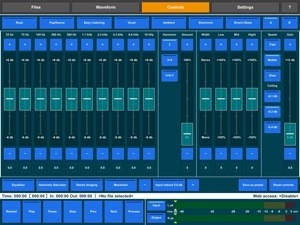 If you don’t feel the need for more than 10 EQ bands or zero latency, automation, or independent channel EQing, this will suit you quite well. 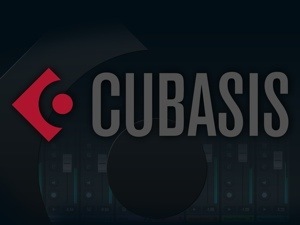 All in all Audio Mastering is a bargain and with a high quality suite of tools makes this a powerful and serious option. 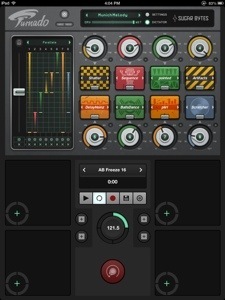 If you want something that can take a good sound and make it great, then this is a must have app. The difference Audio Mastering makes compared to the limited iDAW mastering options is a no brainer and essential for having the best sound possible. 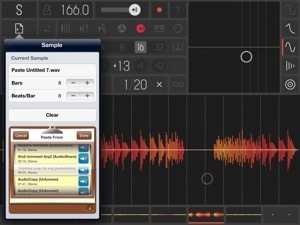 This is a grand companion app to fill out your mobile music production studio. 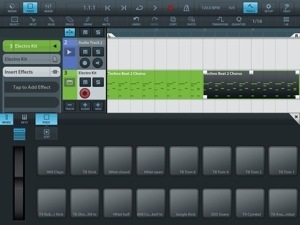 * I used this app to master a new song I had made in Cubasis. This really added more depth that Cubasis simply couldn’t do. Check out Orbiting The Son for the mastered version. While on that same SoundCloud page scroll down to the un-mastered version called In My Sons Orbit (WIP) for comparison. I have agreed to sign with the new iOS Music focused label, LazerKat Records. The agreement has not yet been formalized, nor have they presented me with any contract yet, but when they do send it to me (if in a reasonable amount of time) I intend to make it official and sign it. I have yet to receive any agreement or contract, and have still not signed anything. It’s been months since I’ve heard from LKR and am puzzled that there has still been no movement with making anything official. It doesn’t offend me or anything, I have no hard feelings at all, but I do not consider myself officially signed to LKR having never received any document of any kind. I had sent a few emails over the months asking questions, but other than a couple casual, and friendly social media private messages, I’ve not really heard much from them at all, and not had any real answers. My role with LKR was never defined, and I couldn’t ever get any solid confirmation to anything. The compilation vol 2&3 have not been realized still after several months. Again no hard feelings. I understand that despite best intentions things don’t always go as planned. However I have been through similar scenarios prior to LKR with FatelessFlows. That said, I consider myself a “Free Agent” with no binding commitments to any label or organization at this time. I am however considering signing with another label. This time though, I will be sure to see the business plan, and have an actual contract to sign before announcing anything as I have before. I am not going to trust casual agreements any longer. I would be doing myself a disservice if I didn’t learn from my mistakes and correct past habits. So going forward, I do still think LKR is a fine addition to the iOS Music community, and provides a great service to many, but I feel I’ve been largely ignored. I wish them well, and I hope to keep the friendships I’ve made, but I am officially not signed to any label as of the date of this UPDATE. When I do make a decision and have already read and signed a legal document, I will be sure to post about it. UPDATE 2 11-2-13 I am on the verge of signing an actual contract with a label. Ill name them after that’s done. They have quickly become very active in the iOS music community showing incredible support. They are quite serious about what they want to accomplish. 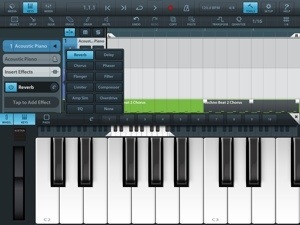 While greatly supporting iOS Music they also are very interested in reaching beyond comfort zones. I believe they have the right attitude, drive and ambitions to accomplish their goals. It feels like the best fit for me. Having personally had less than satisfactory label experiences in the past, waiting for others to show action, open websites, other various disorganization problems, and delays; I have been very shy about going through similar experiences again. LKR is showing incredible initiative, and serious dedication. Their efforts inspire confidence. I think that’s best for me, and anyone involved. Of course they are eager to welcome others, so give them a shout maybe. I hope you will join me in welcoming them (if you haven’t already) with open arms. In addition to being one of their growing list of artists, I also am helping them in the best ways I can. What follows is a copy of their press release kicking off what I’m sure will be a bright future. LKR has made some changes for the better. We’ve decided, thanks largely to the amazing support and community enthusiasm, to take a brief pause and do some serious organizing. We want more than anything to represent ourselves and our artists professionally, and believe these changes will make us more efficient and better reflect our vision. We are serious about being a label featuring iOS musicians. Our goal is to help blur the lines that have separated iOS Music from other forms of production and reach beyond our comfort zone. 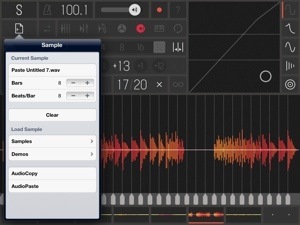 Like many of you, we believe in iOS music. The quality of music and artists are second to none. To start things off we have assigned roles and positions to become better organized and proficient. We are still planning to release our LazerKat/iPad Musician Compilation Vols. 2 & 3. Please be patient, this needs to have full attention placed on quality. You can’t rush quality. We want to do everything with our best and most focused effort. Please send 3 of your favorite songs in MP3 -128 bits, for consideration to : LazerKatDemos@gmail.com or send a SoundCloud link directly to the tracks you want us to hear. We will contact any artists we are interested in working with for follow up. Our community is full of some of the most talented musicians in the world, and we look forward to showcasing what’s next to the world.